The first European to visit the area was the Dutch explorer Abel Tasman in 1643. The English navigator James Cook also sailed through the area in 1774. The individual most commonly credited with the "discovery" of Fiji was Captain William Bligh, who sailed through Fiji in 1789 and 1792 following the mutiny on the H.M.S. Bounty. The 19th Century was a period of great upheaval in the islands of Fiji. The first Europeans to land in Fiji were shipwrecked sailors and runaway convicts from the British penal colonies in Australia. By the middle of the century, missionaries arrived in the islands and embarked upon the conversion of the Fijian people to Christianity. These years were marked by bloody political struggles for power by rival Fijian leaders. Most prominent among these leaders was Ratu Seru Cakobau, the paramount chief of eastern Viti Levu. In 1854 Cakobau became the first Fijian leader to accept Christianity. Years of tribal warfare ended temporarily in 1865 when a confederacy of native kingdoms was established and Fiji's first constitution was drawn up and signed by seven independent chiefs of Fiji. Cakobau was elected president for two years in a row, but the Confederacy collapsed when his chief rival, a Tongan chief named Ma'afu, sought the presidency in 1867. Political unrest and instability ensued, as western influence continued to grow stronger. In 1871, with the support of the approximately 2000 Europeans in Fiji, Cakobau was proclaimed king and a national government was formed in Levuka. His government, however, faced many problems and was not well received. 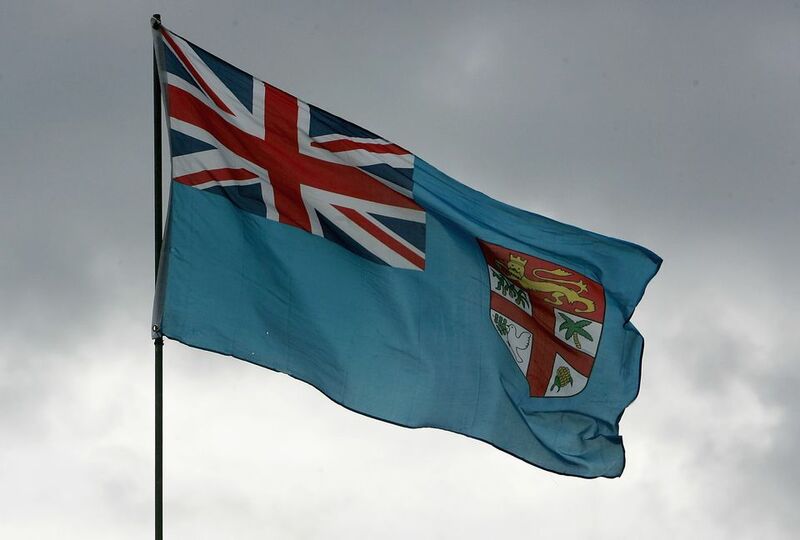 On October 10, 1874, after a meeting of the most powerful chiefs, Fiji was unilaterally ceded to the United Kingdom. Fiji's first Governor under British rule was Sir Arthur Gordon. Sir Arthur's policies were to set the stage for much of the Fiji that exists today. In an effort to preserve the people and culture of Fiji, Sir Arthur forbade the sale of Fijian land to non-Fijians. He also instituted a system of limited native administration that allowed the native Fijians much say in their own affairs. A council of chiefs was formed to advise the government on matters pertaining to the native people. In an effort to promote economic development, Sir Arthur instituted a plantation system to the islands of Fiji. He had previous experience with a plantation system as governor of Trinidad and Mauritius. The government invited the Australian Colonial Sugar Refining Company to open operations in Fiji, which it did in 1882. The company operated in Fiji until 1973. In order to provide cheap non-native labor for the plantations, the government looked to the crown colony of India. From 1789 to 1916 over 60,000 Indians were brought to Fiji as indentured labor. Today, the descendants of these laborers make up approximately 44% of the population of Fiji. Native Fijians account for about 51% of the population. The rest are Chinese, Europeans, and other Pacific Islanders. From the late 1800s until the 1960s, Fiji remained a racially divided society, especially in terms of political representation. Fijians, Indians, and Europeans all elected or nominated their own representatives to the legislative council. The independence movements of the 1960s did not escape the Fijian islands. While earlier demands for self-government were resisted, negotiations in Fiji and London eventually led to total political independence for Fiji on October 10, 1974. Early years of the new republic continued to see a racially divided government, with the ruling Alliance Party dominated by native Fijians. Pressure from numerous internal and external sources resulted in the formation of the Labour Party in 1985, which, in coalition with the predominantly Indian National Federation Party, won the election of 1987. Fiji, however, could not easily escape its racially divided past. The new government was quickly overthrown in a military coup. Following a period of negotiation and civil turmoil, a civilian government returned to power in 1992 under a new constitution heavily weighted in favor of the native majority. Internal and international pressure, however, led to the appointment of an independent commission in 1996. This commission recommended another new constitution which was adopted a year later. This constitution provided for recognition of minority interests and established a mandated multi-party cabinet. Mahendra Chaudhry was sworn in as Prime Minister and became the first ever Indo-Fijian Prime Minister of Fiji. Unfortunately, once again civilian rule was short-lived. On May 19, 2000, elite army units and racialist gunmen led by businessman George Speight seized power with the backing of the Great Council of Chiefs, an un-elected assembly of traditional land-owning chiefs. Chaudry and his cabinet were held hostage for several weeks. The crisis of 2000 was ended by the intervention of military commander chief Frank Bainimarama, a native Fijian. As a result, Chaudry was forced to resign. Speight was eventually arrested on treason charges. Laisenia Qarase, also an indigenous Fijian was subsequently elected prime minister. After weeks of tension and threats of a coup, the Fijian military, once again under the command of now Commodore Frank Bainimarama seized power on Tuesday, December 5, 2006, in a bloodless coup. Bainimarama dismissed Prime Minister Qarase and assumed the powers of the president from President Ratu Josefa Iloilo with the promise that he would soon return power to Iloilo and a newly appointed civilian government. While both Bainimarama and Qarase are native Fijians, the coup was apparently prompted by Qarase's proposals which would have benefited native Fijians to the detriment of minorities, especially the ethnic Indians. Bainimarama opposed these proposals as unfair to minorities. As CNN reported "The military is angry at a government move to introduce legislation that would grant amnesty to those involved in the (2000) coup. It also opposes two bills that Bainimarama says unfairly favor majority indigenous Fijians in land rights over the ethnic Indian minority." A general election took place on 17 September 2014. Bainimarama's FijiFirst party won with 59.2% of the vote, and the election was deemed credible by a group of international observers from Australia, India, and Indonesia. Despite its history of political and racial turmoil, dating back almost 3500 years, the islands of Fiji have remained an excellent tourist destination. There are so many good reasons to plan your visit. The island is filled with so many traditions and customs. It is important, however, that visitors follow the appropriate dress code and etiquette. The people of Fiji are known as some of the most friendly and hospitable of any of the islands in the South Pacific. While islanders may disagree on many issues, they are universal in their recognition of the importance of the tourist trade to their islands' future. In fact, because tourism has suffered as a result of the turmoil of recent years, excellent travel bargains are available. For travelers wishing to escape the large number of tourists often found elsewhere in the South Pacific, Fiji is a perfect destination. In 2000 almost 300,000 visitors arrived in the islands of Fiji. While the islands are some of the most popular vacation destinations for citizens of Australia and New Zealand, over 60,000 visitors also arrived from the United States and Canada. Numerous resources are available online to assist you in planning a vacation in the islands of Fiji. Prospective visitors should visit the official Web site of the Fiji Visitors Bureau where you can sign up for their mailing list featuring hot deals and specials. The Fiji Times offers excellent coverage of the current political climate in the islands. While English remains the official language of Fiji, the native Fijian language is preserved and widely spoken. Thus, when you visit Fiji, don't be surprised when someone walks up to you and says "bula (mbula)" which means hello and "vinaka vaka levu (vee naka vaka layvoo)" which means thank you as they show you their appreciation for your deciding to visit their country.